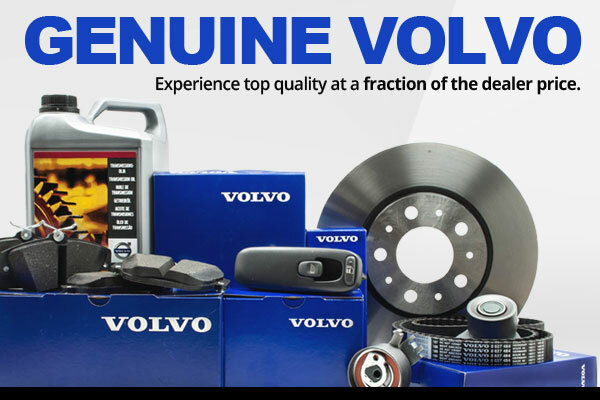 The Volvo genuine parts program is so much more than superior genuine parts customized to fit your Volvo. By choosing genuine, the customer also taps into a complete service program where not only frequently used parts are available, but the full range of all parts are always in stock and ready to be delivered today. longer service lives than many generic air filters. that came on the vehicle from the factory. dust and gases better than many generic cabin filters. conditions and throughout the lifetime of the filter. malfunction of the product will occur during its lifetime. installing a Volvo Genuine Windshield. customized and approved to fit each individual Volvo model. performance than many generic wiper blades. a prolonged lifespan and improved visibility. can rest assured that original safety and quality is retained. trust the system to work properly. it is to use Volvo Genuine brakes. such as noise or vibrations due to unbalanced brake pads. than buying separate generic parts.